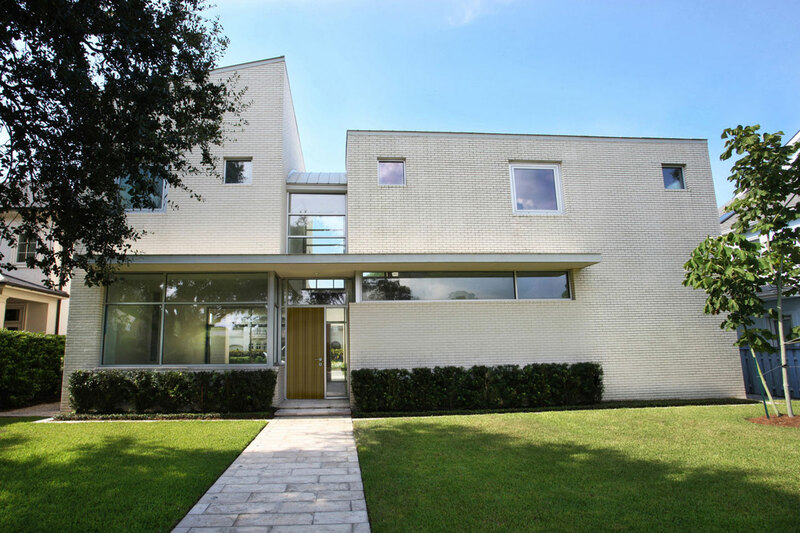 Designed for a 1950’s planned community in New Orleans where the “front” of the houses face pedestrian muses and the “back” of the houses face the access streets, this residence accommodates what in reality are two front doors within a two-story box. The front doors open from both sides of the box into a double-height space that separates the formal living area from dining and kitchen functions on the first floor and the master bedroom suite from children’s and guest bedrooms on the second floor. 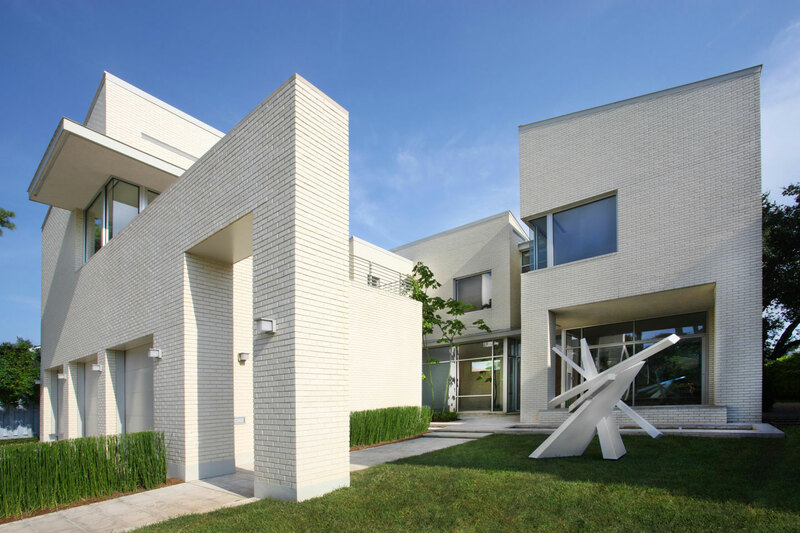 The house, clad in white brick, is a series of sloped forms around the entry courtyard. The garage is pulled away from the main mass of the house, creating a private courtyard at the street side entrance. This courtyard is further defined by an abstract “moat” of water that a visitor steps up and over when approaching the house alongside the pool. The master bedroom is cantilevered out over the pool, creating an outdoor sitting room with fireplace below.